The brilliant, terrifying, speculative anthology sci-fi series Black Mirror originated in 2011 on the United Kingdom's Channel 4 and became a cult phenomenon in the U.S., thanks to two well-received seasons of three episodes each (Season 2 aired in 2013), Netflix's decision to add the show to its library in 2014, and a Christmas special starring Jon Hamm. The following year, Netflix acquired the show and gave creator Charlie Brooker two new seasons for its Original Series banner. Since that 2015 acquisition, the series expanded in breathless ways. The episode count went up to six per season, the production values soared to cinematic standards, and the show's popularity multiplied. The Season 3 episode "San Junipero," released in 2016, went on to snag a pair of major Emmy Awards, and Black Mirror's fourth season, released in 2017, racked up eight nominations, including seven for its twisted, feature-length Star Trek homage "USS Callister." So, what about Season 5? Luckily for fans, Black Mirror did return in 2018 -- but as a one-off interactive movie, not a full season, although Netflix later confirmed that Season 5 is still on the way. As always, filming is extraordinarily secretive; Brooker hasn't even released an episode count, or any casting or directing news. In the past, the show has attracted stars like Hamm, Bryce Dallas Howard, Daniel Kaluuya, and Kelly Macdonald, among many other notable actors, and episodes have been helmed by the likes of Jodie Foster, David Slade, and Joe Wright, so expect another high-caliber season. But until those details leak, let's try to piece together everything we do (and don't) know about Season 5 of Black Mirror. What is Black Mirror Season 5's release date? In early December, Netflix tweeted an official, since-deleted schedule that included something called Black Mirror: Bandersnatch along with other, definitely confirmed shows and movies being added to the service that month. Now we've all gotten a chance to see and experience the wiggy delights of Bandersnatch, which dropped on December 28, and not even the twisty-turny parallel realities of that project could give us any clues about when the new season is dropping, although Netflix did say that it will definitely arrive sometime in 2019. According to Charlie Brooker, the release date is "imminent-ish," which sounds like the most Black Mirror response possible. In early 2019, the showrunner spoke to RadioTimes and said, "It's all imminent-ish. It'll be out soon." He also added that depending on when you expect it to be released, he'd "say it's out 'sooner than you think.'" While he didn’t clarify when he gauges fans think Season 5 will drop, he assures its coming within the year, so hopefully sooner rather than later. In a new interview with The Hollywood Reporter, Brooker revealed that the intense two-year journey to make Bandersnatch caused the rest of production on the new season to slow down. "We knew going into it that it would be difficult and challenging and more complicated than a normal film that we would do. Even then, we underestimated," Brooker said. "As the story expanded, I like to say that the story got longer and it got wider. So the whole thing started expanding a bit like an inflatable life raft in a small room." The choose-your-own-adventure format of Bandersnatch, which allows the viewer to control the actions of main character Stefan (Dunkirk's Fionn Whitehead), gave the entire film a whopping 312-minute runtime -- though depending on which paths you choose, a full permutation of the story can last anywhere from 90 minutes to two and a half hours. How many episodes will Black Mirror Season 5 have? Nothing has been confirmed as far as episode count goes -- seeing a pattern here? -- but the previous two Netflix seasons had six, and, as Brooker told The Hollywood Reporter in 2017, six is "a good number," adding that, because he tends to be obsessive about the scripts, it's about all he can handle. And of those potentially six episodes, Brooker says there will be "a mix" in tones, of course featuring a new crop of its classic, disturbing storylines, as well as a couple lighter concepts. Who will be in the cast of Black Mirror Season 5? As with all things Black Mirror, cast information has been tough to come by, but Miley Cyrus has all but confirmed she'll be in an episode. We'll see! Although we know next to nothing about the production, we do know that filming is underway. "Season 5, we are filming one [episode] at the moment," Brooker told the audience at the Royal Television Society Awards in London in March 2018. "We are about to start filming another one imminently. I'm writing the next one and then it gets a bit more foggy." What he means by "foggy" is anyone's guess, but our money is on a malfunction in Brooker's brain implant. In the past, Brooker has written or co-written every episode of Black Mirror save one -- Season 1's "The Entire History of You" -- so perhaps he's branching out for Season 5. Either way, we do have some clues to what at least one of those first few episodes is about, thanks to set leaks. This filming notice was posted back in April, letting residents in Croydon (a town in greater London) that St. George's Walk would be occupied later that month. St. George's Walk is a large, covered shopping center in the middle of Croydon. When filming was underway, a number of locals tweeted photos from the set. Interestingly, they show that the Walk was given a retro makeover; all of the shop signs are from the '80s. From another source, it looks like this was the set for Bandersnatch. The Bandersnatch is the name of a fictional creature in Lewis Carroll's 1872 novel Through the Looking-Glass, and the episode contains plenty of Alice in Wonderland allusions to rabbits and mirrors. Bandersnatch was also first mentioned all the way back in the Season 3 episode "Playtest," as "Bandersnatch" was the name of a UK game that came out in 1984 -- the year in which "Playtest" is set -- and is even referenced on the cover of a magazine in the episode (props to eagle-eyed Twitter user @jeeveswilliams for spotting it). "There were aspects of ["San Junipero"] that I took out. For instance, I'd originally written a scene where Kelly is in a kindergarten and there are children there and when you realize what's going on, it's that these are deceased children. It was too sad and too poignant of a note to hit in that story, but I kept thinking about how that felt like a whole world in and of itself. I think we almost might do it in a completely different form if we were doing a straight sequel, if that makes sense. Maybe not even as a normal episode." In addition to the St. George's Walk set, we know that some filming took place in Cobham, Kent, as reported by KentOnline. Set photos show what appears to be a police chase in the countryside. A student in South Africa claimed that Black Mirror was shooting scenes on a school campus, and South Africa has doubled as America in past episodes. Finally, there have been reports that one episode was filmed and set in Brazil, though that information remains unconfirmed. 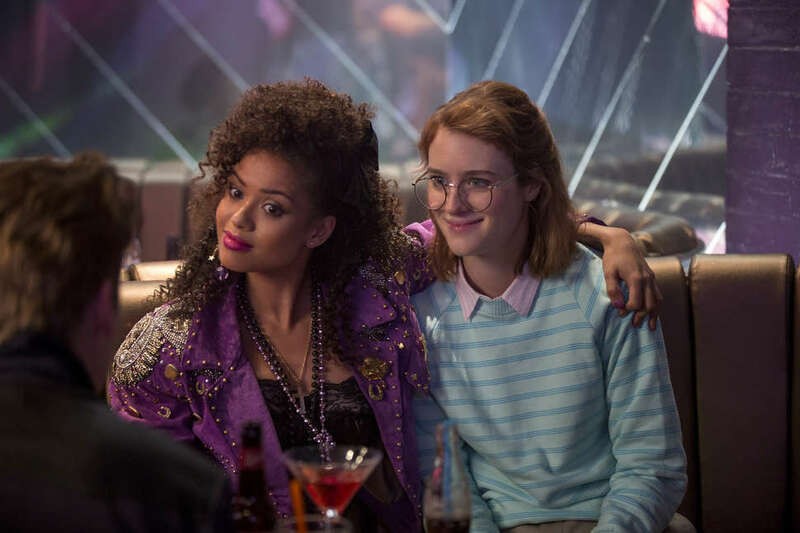 While Brooker has flatly denied there will be sequels to "San Junipero" and "White Bear," Jimmi Simpson, who starred in Season 4's Emmy-winning "U.S.S. Callister," admitted he's heard "buzzes" that Brooker is cooking up a sequel to that Star Trek homage episode. In an interview with The Hollywood Reporter, the episode's director, Toby Haynes, also hinted that Brooker was thinking about revisiting it, although Haynes says he'd rather turn it into a full-blown spinoff series. Now that Bandersnatch has dropped, full of Easter eggs to other Black Mirror episodes like the anxiety-inducing "Nosedive" and Slade's other episode "Metalhead," there are a coterie of fans with a loose theory that it's actually a prequel to Season 2 episode "White Bear" -- mostly because Bandersnatch repeatedly uses the exact same symbol. Could there be a real connection here, or is it just another fun Easter egg? Considering how infrequently, if at all, Netflix confirms anything related to the tangled web of references that make up all of Black Mirror, we'll probably never know. It's a fun theory, though! Brooker even said in his newest THR interview that he'd love to see Bandersnatch's trans-dimensional ace programmer Colin Ritman, played by Will Poulter, in other Black Mirror episodes. "I like the idea that he could show up anywhere," Brooker said. "I could see him popping up in 'San Junipero' or running around in 'White Bear.'" As for future choose-your-own-adventure formats, more of these kinds of interactive episodes may be planned down the road, as this is part of the streaming giant’s early roll-out of a number of choose-your-own-adventure projects. Prior to Bandersnatch, Netflix’s animated children’s program Puss in Boots was the only one of its releases to feature interactive storytelling. And with its success, there may be more opportunities in Black Mirror (or even Netflix’s other adult programming) to introduce similar projects so you can decide what disturbing ending plagues the futuristic characters in the sci-fi series... and then watch it again to arrive at an equally upsetting alternative ending!